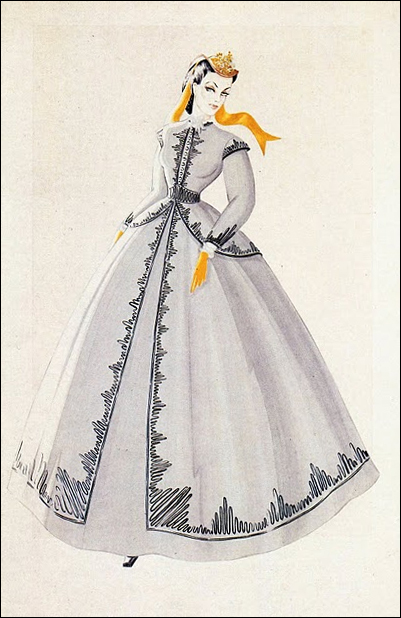 This gown has an interesting history beyond the already impressive fact that it was designed by Walter Plunkett and worn by Vivien Leigh in Gone With the Wind. 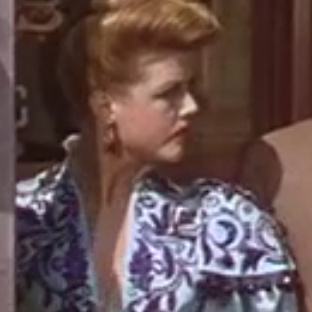 Two copies of this gown, known as the "Shanty Town Gown" were made for the original production. 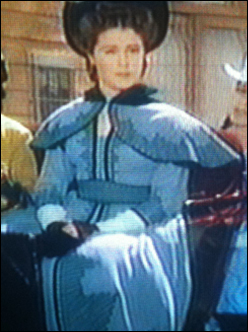 One was for Viviven Leigh's stunt double, and one was for Vivien herself, though no one really knows which version of the gown was worn by which woman. 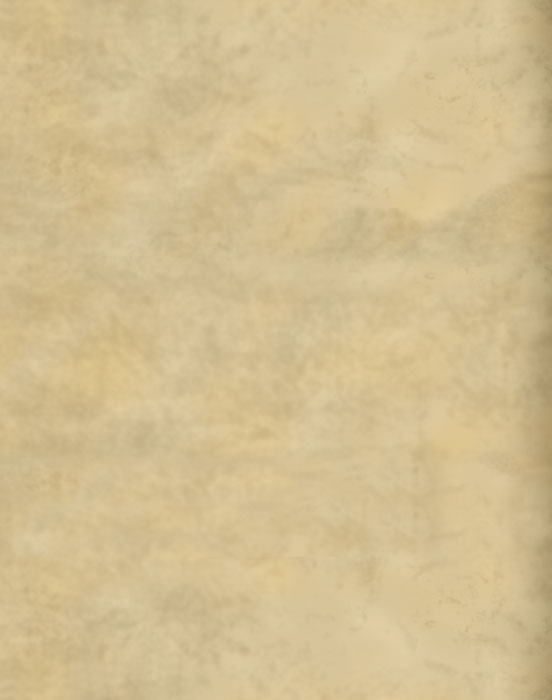 They were made out of blue ottoman fabric, though the colour has, with time, faded to more of a gray. 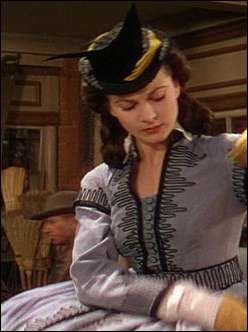 After the film ended the gowns made their way into the property of the Western Costume Company, where they went on to be used in two more films. 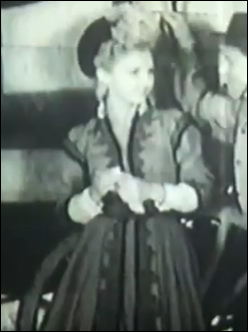 The Film In Old California even features the gown paired with its capelet, which was unused for Gone With the Wind. 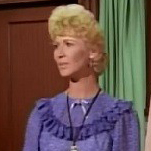 One of the copies for the dress was sold at auction by Butterfields and Butterfields (now renamed Bonhams and Butterfields) and is on display, with the unused capelet at Planet Hollywood in Orlando. 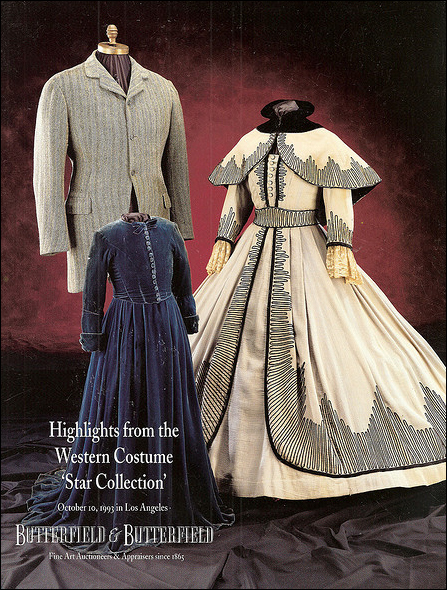 The other copy was purchased by James Tumblin in the 60s from the Western Costume Company for $20. 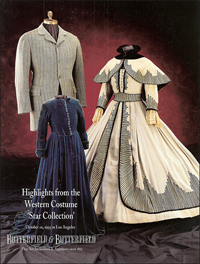 James owns the largest collection of Gone With the Wind memorabalia in the world, and the gown has been on display several times over the years.